Hi there my name is Brian and I’m the owner and founder of blogengage dot com. This is my personal blog about SEO and Marketing. I would like to take a minute of your time and introduce you to our star performing affiliate and publishing companies. I spent many hours putting this list together so use my referral links please and thanks. It’s a known fact the majority of bloggers use Google Adsense to generate online incomes. As you can see I also use Google here on my website. Now lets face the facts! If even 50% of bloggers and readers visiting my blog use Google Adsense they will not click my ads. For one Google tracks their code and they can tell when you click Google ads and for this reason many bloggers are afraid to click a single Google ad. I bet at this point you’re asking what you should do if the majority of your visitors are bloggers or Google Adsense users. Well you have to look at other alternatives to Google. Below using affiliate and referral links I’m going to share with you other ways I have generated income from my website visitors. Hosting Company Affiliates – Generate revenues referring other bloggers to hosting affiliate companies. Word Press Theme Affiliates – Make money by helping your blogging friends look better at blogging. CPC Blogging Income (pay per click) – Generate income from advertiser just like Google. Includes text link ads. Azoogleads I’m new with azoogle and only promoting the affiliate sign up program but I however look at the options regaridng products they had and I was pretty impressed. Make sure to check them out and let me know your thoughts on what they offer and the customer support. PepperJam Network I’m really new to the PepperJam Network but as a blogger and professional marketer I would suggest looking into what they have to offer. What’s unique is Pepperjams commitment to their affiliates. I called their contact number and actually got to speak with a human. I would defiantly recommend this company. Text link Ads offers a great opportunity to make money online from blogging and or owning a website. I would suggest looking at this company if interested in replacing Google or simply looking at makes extra income while using Google. Never under estimate the possibilities of making money online. Link Worth I’ve been using Link Worth for a while now and I’m still new to it all. It’s a great opportunity to generate money on your blog or website but does require some reading and understanding. I would strongly suggest signing up and at least seeing what they have to offer. Who knows you could make some great money..
Chitika Ads I’m really new to Chitika but I see many pro bloggers using the service so I decided I would as well. It must be a great program if people are using it so often on their blogs as a Google substitute. They seem to have a great line of products and if you are looking for something to maximize your revenues I suggest giving them a try. Neverblue Ads NeverBlue offers an amazing environment to track your earning per ad rotators. They are very advanced compared to any other affiliate program you will ever join. They have an amazing offers specific to many niches and are open to almost anyone joining. I added my affiliate link to the link above make sure you hook me up and use the link. I would greatly appreciate it. Adbrite Ads I’ve been using Adbrite for about 2 years now and find their program to has so much opportunity to grow and make online money. They offer a unique way to use your ads plus your Google ads deepening on the cost of the ad space and offer your visitors advertising space too. it’s very unique compared to any program on the web and is very similar to google. BidVertiser I’ve been using bidVertiser for about 2 years but I only use the referral program. As of now I don’t use their ads for selling anything. ClixSense I first started using ClixSence about 3 months ago and haven’t had much success but ti’s starting to pick up not that I’m actually using it on blogengage. ClixSense offers great opportunities to make money from ads on your website of referrals depending on what type of account they sign up for. None the less if done right ClixSense offers a great program that’s very competitive in it’s market. MoreNiche I’ve been using more niche for about a year now and have managed to make some great money. Look guys I know you all from blogengage and here on my blog I’m not going to lie to you. They have a great program but it’s very niche related. 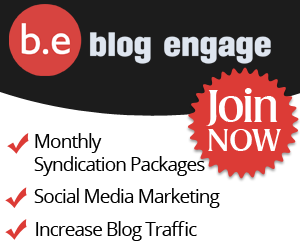 So sign up, have a look and see if it’s something that can work for you blog. MoreNiche also has an amazing referral program that allows you to earn as your referral earns. Infolinks I just started using infolinks and it’s generating an awesome amount of income for me right now. I don’t see it around much so it’s rather new but I’m getting around 15 or 20 clicks a day using this system. They offer a referral option but it’s in beta so you have to be approved first but none the less you can s till ad this to your blog or website and generate some earnings.